In the week that Team Sky controlled the peloton in the Pyrenees and Bradley Wiggins tightened his grip on the 2012 Tour de France GC I was waiting to board a flight at Alicante airport with Mrs VCSE. We were returning from a summer trip to Barcelona and the Costa Blanca, taking advantage of the expansion of our local airport that now offered flights to many European destinations less than five minutes from our front door. We would be back home to see Wiggins claim the yellow jersey in the penultimate stage TT and Mark Cavendish take his fourth win in a row on the Champs Elysee (this time in the world champion’s rainbow stripes), but first we had the small matter of a flight to board. We were making the return flight to the UK with the same mix of luggage that we had flown with internally from Barcelona to Alicante a week previously although I was about to find out that this was no guarantee that the next flight would be as straightforward. The gate staff showed less interest in my boarding pass than in the holdall that I was using as hand luggage. We had bought the bag in Barcelona. I had long cherished the idea of purchasing one of the various upcycled items that an enterprising Barcelona retailer made out of the vinyl posters that line the streets in the Catalan capital. Imagine something made out of various off cuts of multicoloured sail cloth and you will get the idea that my choice of cabin bag was hard to miss. It was also apparently to big for me to carry onto the plane and the unsmiling agent at the gate relieved me of 50 euros for my indiscretion. As I caught up with Mrs VCSE on the gangway I announced that it was the “last f**king time I’m flying!”. Adding insult to injury (and these are ‘first world problems’ I appreciate) on boarding the plane the cabin crew didn’t bat an eyelid at the offending, supposed oversized bag and contrary to what I had been told at the gate it wasn’t unceremoniously removed to the hold! The point of all of this preamble is that the ‘unfortunate incident of the bag that was too big for the cabin’ was the catalyst for the first of the two cycling holidays described here. 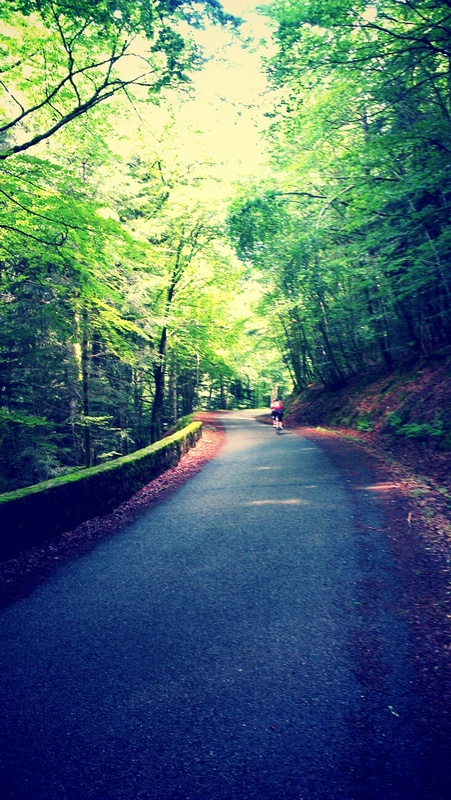 When the 2013 Tour de France route was announced in October we looked at where we could base ourselves to take in some stages while doing some riding of our own. 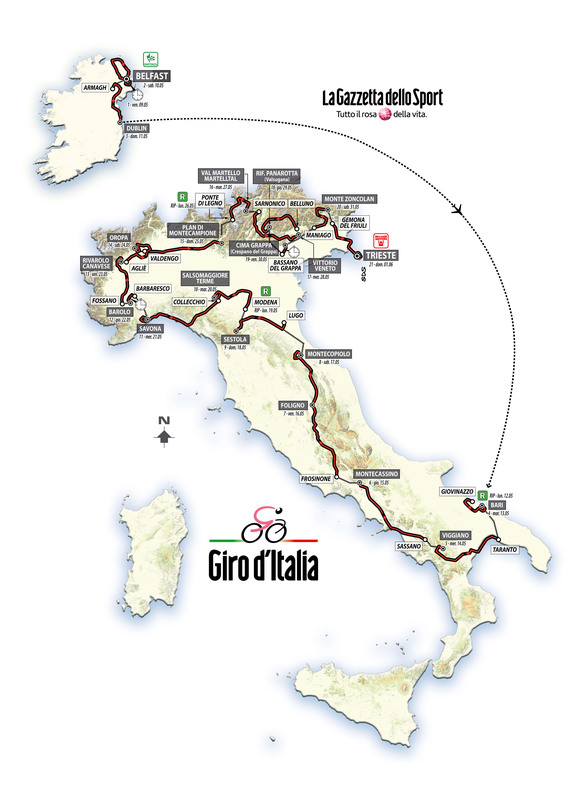 The 2013 edition of the Tour would start in Corsica before making its way back to the mainland and across the south of France from west to east and into the Pyrenees. The initial plan was to try to find somewhere in the Alpes with the double ascent of Alp d’Huez stage on Bastille Day as a potential centrepiece of the trip. We wondered if we would be able to afford anywhere but price didn’t even come into it as we struggled to find anywhere to stay where we could take the bikes too. We started to look for some alternatives. Having a base around Bordeaux or Brittany was ruled out as we wanted to try to guarantee some sunshine. With one stage finishing and starting (the following day) in Montpellier we set a 50km radius from the city and scouted the ‘net to see what was available. A villa in a small village outside the town of Pezenas was right on the limit of our search area but fulfilled the criteria of private with pool and somewhere secure to store our bikes. Pezenas is in the Herault department of Languedoc-Roussillon and is best known for its association with the playwright Moliere; the principal (early 19th century) theatre in the town is dedicated to him. Today Pezenas is a thriving centre for antiques and the arts within the largely pedestrianised old town. The VCSE base in Nizas is around 10km from town surrounded by local vineyards. With the plan to drive to the south from the UK we also looked for a couple of places to break up the journey in each direction. On the outward leg we found a chambre d’hote (or B&B if you prefer) near Clermont Ferrand and on the return journey we could catch another stage finish/start in Tours. Cross channel travel was via Eurostar as we had a car full of luggage and nearly £3000 worth of bikes on the car. A quick sidebar here. If you’re travelling any kind of distance by car with more than one bike a rack is essential (there are few cars that can take two bikes inside). I prefer to use a towbar rack if more than one bike is concerned. There are benefits to this type of rack from a number of points of view. They are generally a better choice from an economy perspective although that has to balanced against the upfront cost of the rack and towbar and depending on the model chosen tow bar racks are more secure from theft. Budget around £250-300 for a two bike rack (ours is from Thule) and around £400-£500 for a tow bar and fitting. I have also used a (Thule) roof bar set up and while these are cheaper I have had some bad experiences with damage to bikes with these in use. We set off on the same day as the first stage of the 2013 Grand Depart in Corsica and so we would miss the Orica team bus getting stuck under the finish gantry and more significantly the first sign that Mark Cavendish was no longer the fastest man in the peloton. A year before the opening stage in Yorkshire Christian Prudhomme had given Cavendish a golden (or perhaps or more obvious colour) opportunity to wear the leaders jersey in all three grand tours by foregoing an opening prologue stage in favour of a likely sprint finish. At the time it was blame it on the bus driver, but in hindsight this was the emergence of Marcel Kittel as Cav’s heir apparent. 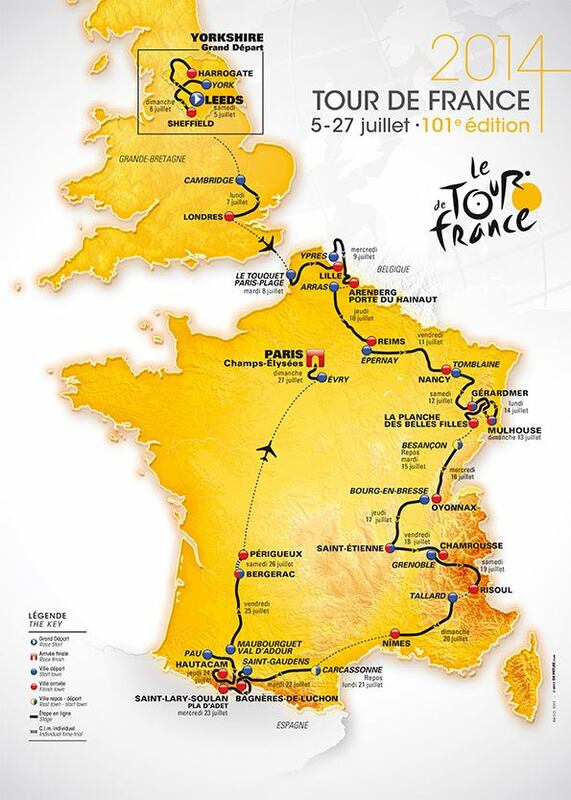 We chose a route to the Auvergne that bypassed Paris and struck out west and then south via Rouen, Chartres (where Wiggins had triumphed in the penultimate stage in 2012), Orleans and Bourges. The unexpected aspect of the journey on that Saturday was that the weather got worse the further south we went and as we began to climb towards our overnight stay near Thiers (the cutlery capital of France if you were wondering) we entered the clouds in a heavy rainstorm. After spoiling ourselves last year with two weeks in France and four stages the assumption was that this years live and direct interaction with the Grand Boucle would feel like something of an anti-climax. This year has also been a bit of let down in terms of miles on the bike for various reasons, but a recent window of opportunity meant that VCSE would be joining some regular riding buddies and heading out to catch a glimpse of Monday’s stage from Cambridge to London. Your correspondent had been minded to pour a fair amount of cold water on the expectations when plans were being laid to go and see the peloton as it rode through Essex. The parcour was (relatively speaking) pan flat, the riders would flash past in a blur and it might feel like something of a let down for those that were used to 360 degree television coverage. Then we bemoaned the health and safety culture of the UK that would mean that roads would be closed at 6.00am, far earlier than in France. 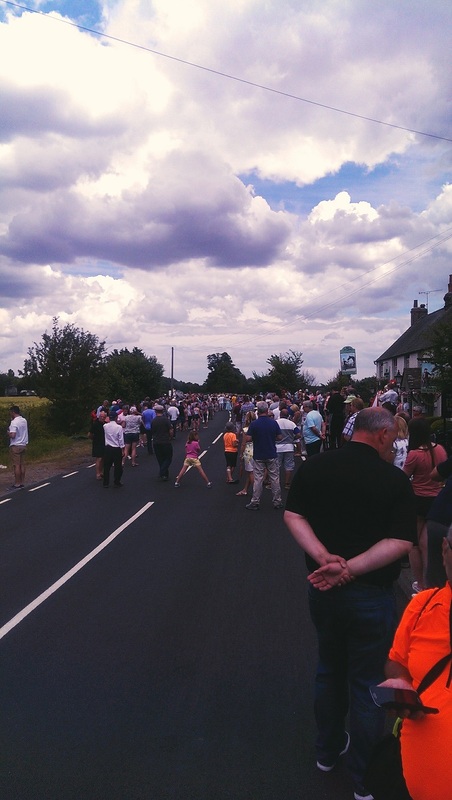 Even after seeing the huge turnout in Yorkshire for the Grand Depart VCSE was sceptical that there would be that many stood at the side of the road save for the very local population and die-hard cyclsts and fans. Of course we didn’t need to leave before 9.00 to get a good spot. VCSE’s biggest fear was would there be any food served at the pub near where we were due to watch the race. Threading our way through the back lanes from Southend to the outskirts of Chelmsford we encountered other riders, sometimes singularly or in pairs or bigger groups. The only indication that something was happening as we reached the road the stage would pass over was a few cars parked on the raised verge and then (suddenly) there was the Road Closed sign and the inevitable flourescent tabard wearing stewards. Just as suddenly it was clear that the Tour was capturing the imagination in Essex as much as it had in Yorkshire at the weekend. In either direction both sides of the road was sown with spectators. In the time-honoured tradition of stoically waiting for something to happen (otherwise known as queuing) were small groups of fans with picnics and fold up chairs. The occupants of one house had brought the furniture from the conservatory to the roadside to watch proceedings in comfort. Ahead of the race VCSE had spoken to people who were booked up for some homespun hospitality experience in pubs that enjoyed a position alongside the route. The pub near our chosen vantage point had a mixture of corporate guests whose VIP experience may have been slightly marred by the fact that they were on the direct route to the gents toilet and had to endure a steady precession of MAMIL’s walking in and out. There was a three deep crush at the bar and a roaring trade in bacon rolls for those of us who were managing with more prosaic catering. By the time we were fed, watered and were done with interrupting the corporate guests the pavements had filled further with more and more walk and ride ups. Overheard conversations revealed that this wasn’t an exclusively Essex crowd, just as last years stage finish in Montpellier had been leavened with a fair few Brits who had made their way inland from the beaches of the south of France. There were a couple of Danish fans and a surprising number from Australia. On the opposite side of the road was a group entirely decked out on orange polo shirts who had obviously been there for a while based on the car that was yielding a steady supply of food and drink. Belkin fans? Apparently no, according to the disappointed Dutchman who had wandered down to engage them in conversation. Conversation turned to where the race had reached so far, before we realised that it hadn’t even left Cambridge yet. There had been a reasonably steady flow of official cars coming through and in an increase in volume signified the arrival of the promo caravan. After our experience last year VCSE anticipated the possibility of adding to our collection of hats and key rings, although this was leavened with the likelihood that the caravan would be moving a bit quicker on Essex A roads than the 300 metre mark on a stage finish. This was confirmed as the caravan started to come past; the four point safety harnesses that the ‘Tat Chuckers’ wear looked absolutely essential as the cars weaved around at 50 mph. For all the marketing advantages of a float shaped like an oversized Fruit Shoot bottle these things are not designed to corner. As the drivers kept their palms permanently on the horn we were ‘treated’ to the odd trinket thrown to us. French betting chain PMU (sponsors of the points competition) clearly felt that there was zero benefit from promoting their brand in England and the caravan felt a bit threadbare and Anglicised as a result. Oven chip purveyors McCain’s got a big cheer (this was the case in Yorkshire too apparently) as they climbed towards us. What looked like a matchbook turned out to be herb seeds and VCSE supposes there wasn’t much point in tossing us potato seeds if you want us to buy more frozen chips. The scarcity of freebies had everyone that cared scrabbling for the few crumbs that were thrown, but anyone who had expected a typical Tour de France tat fest would have felt a little disappointed. And so we waited for the main event. Tour Tracker gave up just past Saffron Walden so we were reduced to speculation on the arrival of the peloton that ranged from the well-informed (“..about 2.13pm”) to the ‘haven’t a clue’ (“Wiggins is in the lead and just outside Chelmsford”). The VCSE predictions of stage 3 being the least supported stage had been thoroughly rubbished as fans began to spill off the kerbs and into the road. As the Tour outriders began to come through pint clutching spectators casually leaned back a bit to allow them to pass. Everything was good natured though, the British Police motorcyclists were too busy high fiving anyone that stuck a hand out to have one. The Gendarmes took a somewhat different view, perhaps with a sense that it wasn’t a case of if an accident with a spectator would happen but when. The arrival overhead of the helicopters heralded the approach of the break. The two riders who had been away from pretty much kilometre one (and weren’t all that far from the end of the stage when the ‘catch’ took place) must have felt a bit nonplussed to be riding through crowds on a stage that (if held in some boggo department in France) would attract the occasional glance from a farmer in his field. Not so much your ’15 minutes of fame’, but your 150km’s perhaps? That the peloton came through our vantage point in a little more than two minutes if you include the team cars probably isn’t the point. We had got a taste of what it feels like to be part of something that happens rarely, if not once in a lifetime with the Olympics in 2012. There was a sense that all of us would be able to remember when the 2014 Tour de France came through Essex on its way to London and say “I was there”. Some of us will no doubt get our next taste of fan participation somewhere in France next time, but that was planned. Maybe a few more, now that they have had a taste, will be inspired to join us over there. The unscientific vox pop that took place in the immediate aftermath hinted that those who had experienced a bike race up close and personal for the first time wanted to do it again and it does look like the success of this years Grand Depart will lead to a swifter return to these shores than the eight years that preceded this UK visit. This could also see more towns and regions seeking involvement in the Tour of Britain and while we bathe in the afterglow of the Yorkshire Grand Depart it’s possible to imagine the ToB extending to ten days or maybe even two weeks. Those of us that follow the sport week in week out were disappointed that there were less Brit riders starting this Tour than in 1968 and casual fans alike rue the non-appearance of Bradley Wiggins and the early exit of Mark Cavendish. And yet the spectacle hasn’t suffered, because in so many ways the spectacle has been the crowds. Whatever the outcome in the race itself it felt good to be a (very small) part of it yesterday. That this was the seventieth or so edition of the Tour of Poland may have escaped you if you didn’t realise that this is the UCI’s reincarnation of the iron curtain era Peace Race. A Cannondale benefit for the last two years with overall victories for Peter Sagan and Moreno Moser, a lack of interest in defending the crown this time around was visible in the selection of Ivan Basso as team leader. 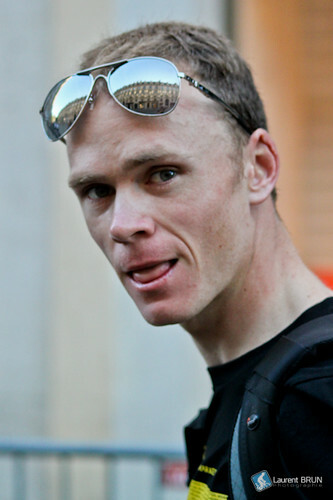 Speaking of faded glories, who was that on the start list? Only Sir Bradley Wiggins making his first appearance since the Giro but hinting at something low key by taking the last of six places in the Sky team. Taking place almost immediately after this years Tour de France there was inevitably an absence of riders from the that race, but this was made up for by the return of the faces from the Giro; Wiggins and Vincenzo Nibali and from the distant past of the spring classics, Fabian Cancellara. There was a notable refugee from the Tour present. Christophe Riblon called into the AG2R squad due to injury and missing out on a stack of invitations to the post Tour criteriums that demand the presence of the French hero du jour. The post Tour Crits, essentially exhibition races with pre-ordained outcomes are extremely lucrative for their participants. They do require a suspension of disbelief on the part of the spectator however finely balanced or unpredictable the outcome may appear the star attraction must win. The UCI are considering their own devices that might ensure their sanctioned races avoid the possibilty that one or two teams can force the outcome of a race. The experiment in Poland was smaller teams of six riders. The VCSE view would be that the idea seemed to work quite well. Some things remained the same; there were the normal politics of who could or couldn’t go in the break. Smaller teams appeared to lessen the amount of time one team could stay on the front and whether by accident or design chasing down a break required cooperation. The need for versatility when choosing six rather than nice riders allowed the all rounders like Riblon and Thor Hushovd who won two stages here to come to the fore. BMC had a good Tour of Poland following neatly on from their overall at the Tour de Wallonie the week before. Hushovd looked in his best form of this year and may even fancy his chances at the world championships on the strength of this week. Win of the week and not just for BMC was Taylor Phinney’s cheeky late break on stage 4. It was strange to think that this was Phinney’s first professional win. Did the UCI’s novelties extend the the inflatable sponsors mushrooms (or were they light bulbs) or was this an invention of the race organisers. The same organisers had an interesting approach to on screen information with blink and you’ll miss it time gaps. Perhaps the plan was give the viewer an idea of what it was like without race radios. Keen eyed armchair fans will often see a hire van and a couple of hi viz wearing staffers waiting at the side of the road who will dismantle the races road furniture after the peloton has passed. You had to feel sorry for the students who nabbed a summer job on the Tour of Poland and found that they would be spending their time inflating the many hundreds (thousands?) of sponsors mushrooms that adorned the route. Can’t see them catching on really. The second rank stage races often throw up the most entertaining and animated races with the smaller teams in Poland adding to the mix and ensuring the yellow leaders jersey changed riders several times. Riblon justified his selection with a stage win and just missed out on the overall by seconds on the final stage time trial. He was demonstrably frustrated with losing the race lead on the final day but with his stage win over a tough profile in Trentino decorating his Alpe d’Huez Tour victory Riblon looks like the real deal. 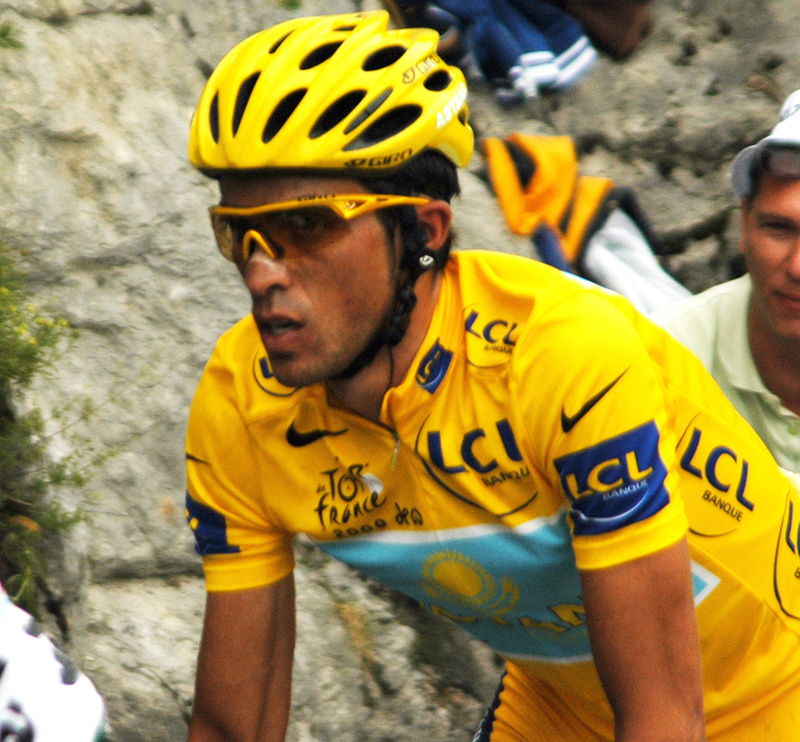 Unlike last years hero Thibaut Pinot, Riblon has form with another Tour stage win in 2010. We have too often found that our new gods have feet of clay this year with riders appearing to hit rich form only to discover later it was illegally enhanced. It’s practically impossible to believe this could be the case with Riblon, a French rider in a French team, with the severe anti doping laws in that country. Unlikely to be a factor in grand tours if nothing else Riblon’s performances cement AG2R’s place as the preeminent French world tour team of 2013. Whatever the expectations of the nation that produced Anquetil and Hinault, the teams probably set their bars lower and Riblon’s recent performances coupled with Carlos Betancur’s in the Giro would certainly be envied by FDJ this year. With the race starting in Italy for two stages it was not surprising to see the Italian based and managed Columbia team make an appearance that was rewarded with a stage win and second place for Darwin Atapuma on stages six and one respectively. Of the returning Giro protagonists there was little sign early on in the race. VCSE spied Bradley Wiggins popping out the back on stage 1 but what became clear from reports if not the coverage was that he was working hard earlier in the stage in support of Sergio Henao. On stage 5 we actually got the evidence for ourselves, treated to Wiggins riding a massively determined turn that destroyed any hopes that the breakaway could stay ahead. 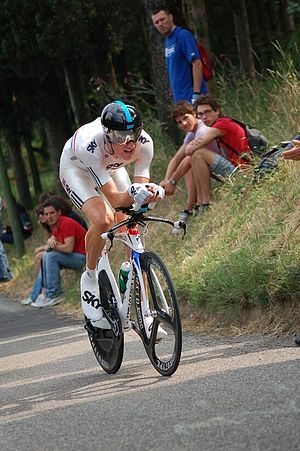 As the race went on it became clear that things were getting tee’d up neatly for Wiggins to have a tilt at the win in the final stage time trial. All of the talk now is of him going for the TT in the world championships. Current title holder Tony Martin was absent but Wiggins put the best part of a minute into Fabian Cancellara and more into third place man Phinney. There seems to be a collective sigh of relief that Wiggins has finally hit form, but for VCSE it’s more important that he looks motivated again. Vincenzo Nibali was very much in training mode, dropped on the climbs and reportedly focusing on the world championships only. For Nibali the Vuelta will be a chance to ride into form for Florence at the end of the season. The overall? A win for Peter Weening of Orica Green Edge who overcame Riblon’s seconds advantage with the time trailing equivalent of winning ugly. His winning ride lacked any souplesse but was at least effective; he took the victory by 13 seconds. 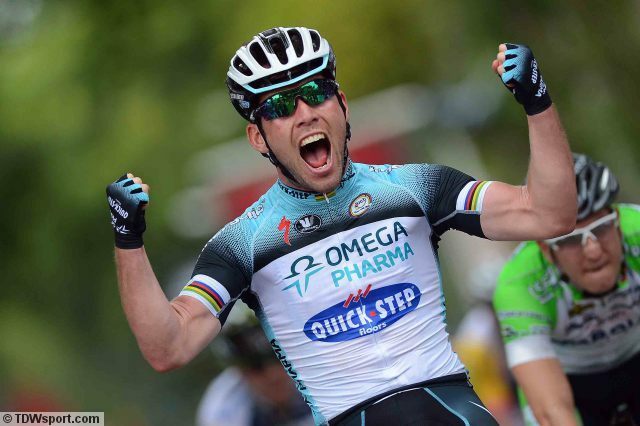 As the cycling ‘transfer window’ opens the first team to get riders to put pen to paper was Omega Pharma. The much rumoured move from Sky of Rigoberto Uran has been confirmed and the debate about what kind of team Omega Pharma want to be has re-started. This has been fuelled further by the (again much trailed) signings of Alessandro Petacchi and Mark Renshaw to bolster Mark Cavendish’s lead out train. VCSE’s take would be that Uran will be given more support in the grand tours that Cavendish misses. That said, Uran is probably better able than most to freelance in the mountains and if the plan is to get more Omega Pharma jerseys at the sharp end of the peloton on the climbs it’s probably a good move for team and rider. On the other end of the scale one of the two world tour teams at risk of not appearing in 2014 Euskatel have told their riders to start looking for new teams. With 25% unemployment in Spain it was inevitable that the team would be at risk of losing their funding and a less than stellar set of results has probably sped up the decision to pull the plug. All the same it’s hard to see a team folding when they could kept afloat for a fraction of the amount that Real Madrid are thinking of paying for one player this summer. After Katusha were reinstated to the world tour after their CAS appeal earlier in the season losing one team from the world tour would not have been too much of an issue if a second rank team was ready to move up in their place. The team most likely, swiss registered IAM have said they don’t intend to make the jump, perhaps burnt by the fact that Fabian Cancellara has re signed with Trek. If no teams make the jump it means another wild card place for the grand tours and the potential for some of the continental squads to get invitations to the second rank races also. If this means that the default invitations of only Italian or French teams to the Giro and Tour can be avoided it’s probably no bad thing. The loss of Euskatel and possibly Vacansoleil also will be felt hardest by the riders and support staff and their families. No doubt the organisers of the Ride London professional race would like the event to become a regular fixture on the world tour. Run a couple of hours after the 20,000 rider had begun to cross the finish line in The Mall the was a decent sprinkling of teams including Sky, Cannondale and Garmin. With the BBC showing the start and finish of the race live the ‘big name’ being used to batter the casual viewer into showing interest was Peter Sagan. How the Beeb’s commentators would have loved a Chris Froome or Mark Cavendish to have been on the start list. Cycling gets next to no exposure on the BBC but its a shame that the editorial line is always pitched so low with no opportunity missed to mention the Olympics or someone that viewers may have heard of. In fairness the BBC deserved a ‘Chapeau!’ for showing a decent highlights package of the women’s Crit from Saturday night. Laura Trott continued her rivalry with Hannah Barnes in the sprint finish winning the race to make it all square in head to heads between the two this year. The men’s race was fairly typical for a bumpy parcours; a breakaway that was never allowed to get so far ahead and a bunch finish. The script wasn’t followed as Sagan rode an anonymous race; the only time he appeared on camera was getting bottles from the team car. The circuits of Leith Hill were also largely processional, with the real digs coming on the single ascent of Box Hill. David Millar’s attempt to get another group across to the break was drowned out by the apathy of his companions. When it came to sprint, Parliment Square proved to be too much of a bottle neck for some teams leaving FDJ, who had shown their jersey in the break all day, to be the best organised for the finish. Arnaud Demare took the win with teammates in close attendance. The men’s race inspires some international interest in the event. The close links between Ride London and the London Marathon would suggest that the format will continue with a professional event book ending the main event which is the sportive. Compared to the hundreds of thousands who take part in the Marathon it’s hard to see why a ceiling of 20,000 was put on the sportive. With 80,000 applying for a ballot place it does seem strange that more riders aren’t able to take part. Obviously the infrastructure needed to close roads through the capital and the Surrey stockbroker belt costs but given that the Marathon is able to support the ‘fun runner’ element surely something could be done to allow more cyclists of all standards to take part next year. This year everyone was given the same start location with any riders struggling to make the 4.00pm cut off directed onto short cuts back to the capital. Perhaps in true sportive style a shorter route could be incorporated next year. Final thoughts. How many capital cities dedicate their centre’s to mass participation cycling events and professional road races on the same day? Chapeau to London and the organisers. I expect the sportive will be massively over subscribed when registration opens later this month. Last year the BBC showed an hours highlights programme for the men’s and women’s world championship road races. This in the same year as the first ever British Tour de France win and the Olympics. As the BBC programming closed today they announced that they would be showing this years world championships live. For dedicated fans of the sport the low brow coverage maybe frustrating, but we should all celebrate the increased coverage the sport is now getting on the national broadcaster.